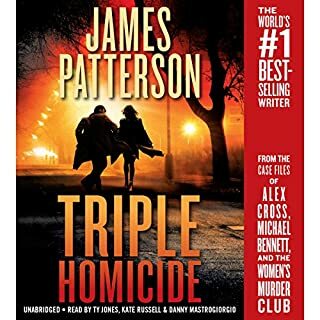 The 1st novel in James Patterson's Women's Murder Club series. As the only woman homicide inspector in San Francisco, Lindsay Boxer has to be tough. But nothing she has seen prepares her for the horror of the honeymoon murders, when a brutal maniac begins viciously slaughtering newlywed couples on their wedding nights. Lindsay is sickened by the deaths, but her determination to bring the murderer to justice is threatened by her own personal tragedy. 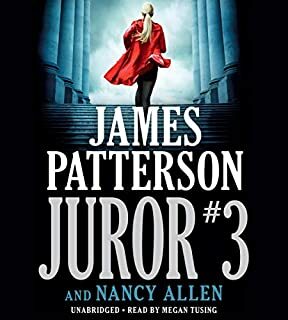 So she turns to Claire, a leading coroner, Cindy, a journalist and Jill, a top attorney, for help with both her crises, and the Women's Murder Club is born. My first James Patterson and now a fan ! I'd recommend the book without a doubt. 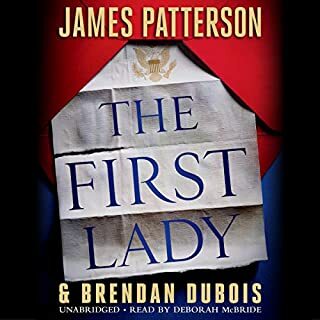 It was my first James Patterson (obviously I've been living under a rock or something) and it was really good. The pace was good, story was interesting and not overly predictable. What other book might you compare 1st to Die to and why? For fans of Lee Child / Jack Reacher I'd give it a go. Its not of the same quality but its not a bad example of the thriller genre. I was really distracted by the narrator. Parts were really over dramatised and the pretend sobbing just made me cringe. The pausing was inappropriate and she seemed to punctuate with loud breaths and mouth sounds. I would avoid purchasing another with her narrating. Overall it was a good read. The writer didn't quite nail the women's friendships that were detailed within the story but its not distracting and I'd like to see how the concept of the club unfolds throughout the rest of the series. This is a great story but the reader was so annoying - too much saliva! She kept smacking & swallowing throughout. Love the series the performance / recording is extremely bad! Sounds like the reader is eating while reading! That became all I could focus on towards the end of the book - the audible swallowing, saliva moving - it completely grossed me out!! I felt like I wanted to throw up every time I heard it, but I really wanted to find out what would happen!!! I like the twists in the story. very well narrated. amazing author. what a finish. What did you like most about 1st to Die? Great book ! had me gripped, although I actually managed to guess some of the narrative, but got a nice twist at the end. Hated the narrator - she actually made me feel sick - with the weird slurping and slapping of lips when talking. *shudder* wish i'd read the review before downloading - as I want to listen to more - but I can't have her doing that again. Why didn't the person editing say something! James Patterson writes a brilliant story that keeps you gripped. 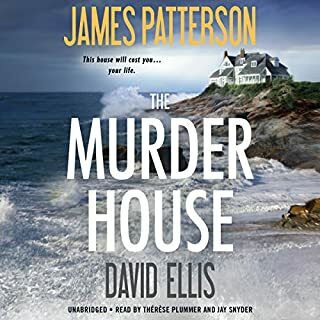 The narrator though is off putting with the constant pausing for breath and swallowing saliva is making me think twice about downloading the other murder club books. The reader needs to work on breath control. Too many gasps at beginning of sentences. Distracting and annoying. 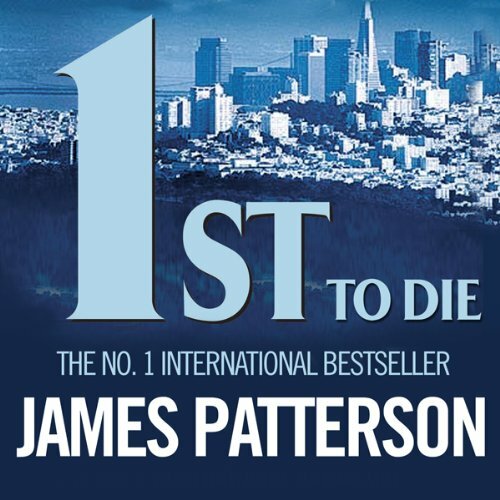 Would you consider the audio edition of 1st to Die to be better than the print version? Have you listened to any of Pat Star’s other performances? How does this one compare? As the heading says, shame about the narrator. I found her continual swallowing (it sounded as if she was slurping a drink) very annoying and off putting. If the story had not been so good I would have given up after the 3rd chapter. Great story, gripping to the end as expected from James Patterson. The introduction of the characters was very normal. Would have been better to have got the book. A good story, well written. Excellent characters. As with all audio books, different narrators have different styles. I find once I become used to the narrator, I can lose my self in the book very easily. I shall be looking to download the next in the series. 1st to die is 1st class . It's all I can hear now! It's never really happened before. The book is good, it's a shame. 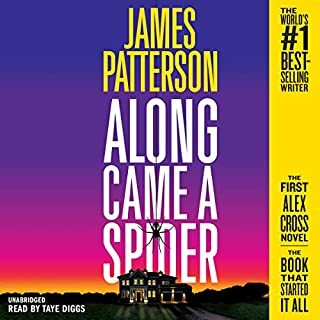 Would you try another book written by James Patterson or narrated by Pat Star? I think the actual story has potential but unfortunately I wont be finishing the book as I find the narrator difficult to listen too. Her heavy breathing is very off putting and makes it difficult to listen to for long periods of time. What was one of the most memorable moments of 1st to Die? None really, as it is difficult to get into. Would you be willing to try another one of Pat Star’s performances? Not really, perhaps if she sits away from the microphone so her breathing doesn't distract from the narrating. Yes, the plot is good, the characters well formed. I should have read the previous reviews before purchasing this book. The narrator is very hard to listen to. The gasping and mouth noises are very off putting. At times I couldn’t concentrate on what she was reading because of the breathing and gum smacking. Does anyone listen to these before they are released for sale? 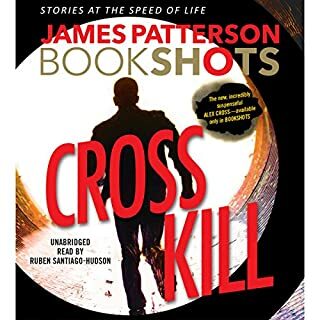 The first James Patterson novel I've ever read and I must say, I was expecting more. I liked how easy it was to read but some of the female characters were a little predictable and stereotyped. The crime wasn't quite interesting enough to make it great but just enough so I kept reading. There was a major plot hole. I'm not sure why a proofreader didn't pick it up, but over all the story wasn't too bad. A nice easy read. Really enjoyed this book although I had read it in paperback years ago. Narrator was very easy to listen to and the twist at the end......well I’d forgotten all about it! Definitely recommend this as an easy listen but I suggest that you clear your schedule for the last 2 hours - kids out, pets out and the husband too!!!!! the reader had a frustrating breath in take. and the book got a bit garbled digitally in places. This story is great but the narrator has spit in her mouth the whole time! All I can hear is spit! There is no way I could listen to this with head phones on it’s gross. Great Story... hard to listen to. I have read the whole series and love. However listening to this narrator was tedious. There was a lot of mistakes and in general it was so hard to listen to her. Pity. Omg... I couldn't wait for it to end. I'm sorry but I hated the narrator, the big breathes!! !